Particle board has surprisingly become popular in recent times. This wood is a type of engineered wood made to look like real wood by coating it with wood veneer. Notwithstanding its unauthentic nature, particle boards have gained popularity because they are relatively affordable. For a fact, particle boards can be an excellent help for individuals on a budget looking to furnish their home. However, can this kind of faux wood construction material stand other wood products in term of performance? Let’s look at the various pros and cons of particle board in contrast to the Solid wood. When it comes to cost, undoubtedly, particle boards are more affordable than solid woods. The reason for this being so affordable is because they are produced from the by-products of block board and plywood. After production, their surfaces can be enhanced by the addition of a wood veneer or laminate surface. On the other hand, solid wood is expensive because of the quality of timber that it’s produced with. Solid wood is created from woods such as maple, teak or ebony while particle boards are manufactured from common wood by-products. Durability is another factor that helps products made from solid wood standout more than products made from particle boards. Solid wood cabinets, especially those produced from teak, are known to last more than three decades, depending on its maintenance. On the other hand, furniture and cabinets made from particle board have a lifespan of 3 – 5 years if the user is lucky. For environmental and health safety, solid wood is a preferred option because they do not require any form of resin for coating. It’s mostly a natural process. However, a demerit of solid wood is that it is sometimes a product of deforestation; though only in situations where tree felling is not regulated. In the case of particle resins that require formaldehyde resins for coating, one can note its ecological non-friendliness. Merit to particle board is that they are produced from waste products. It helps to save the cost of production and prevent waste pollution. 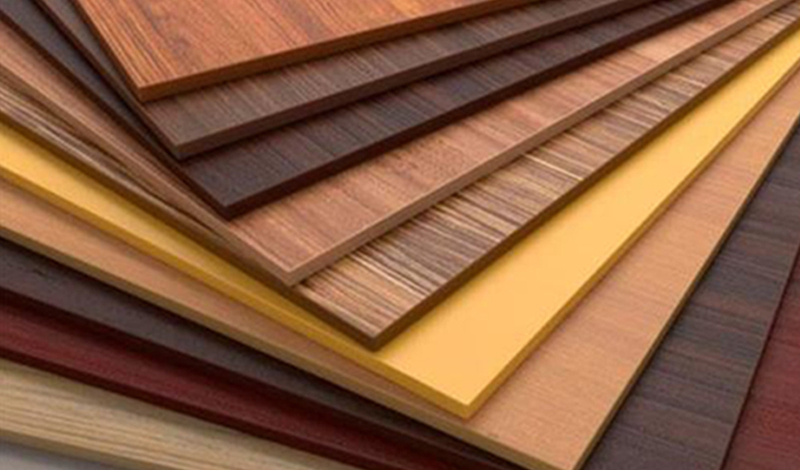 Pre-lamination can help protect particle boards from the invasion of moisture and humidity, but cannot entirely serve the job in the case of water. That is why it is necessary to be extra careful while using water around particle board furniture. However, you won’t have this problem while using solid wood furniture. The trees solid wood is made from, ebony, for example, have high oil content in their composition and this makes them resistant to being soggy from the water. Due it particulate structure, particle board tend to be lightweight. It can make them portable and easy to carry around while moving from one home to another. That is one pro, but this also accounts for their weakness in comparison to other wood products. They are usually unable to carry the weight of other heavy wares. Solid wood is much more dense and stronger. Due to this density, it can be sometimes uneasy to carry around from even one room to another. It is better to use them at a spot where the user is sure that they would be moved around for a long time. If you probably have a distaste for solid wood, you can consider plywood as another option while selecting a wood product. For one thing, plywood is stronger than particle boards because of its cross-grain pattern. Plywood is better to handle because it holds screws and nails in place for an extended period. Particle boards being more brittle than other types of wood tend to fall apart under the impact of a nail. Plywood sheets are also easier to work with because they are lighter in weight. This matters when you are trying to make cabinets or furniture that will move on wheels. It’s worthy to note that plywood handles the influx of moisture better than particle boards which tend to swell up and lose their strength when they come in contact with water. Conclusively, the inferiority nature of the particleboard cannot be overemphasized, and this nature affects every furniture it’s made with. Wood experts always advise you go for solid wood products. If looking for an alternative to solid wood, the plywood is always there to serve that purpose.